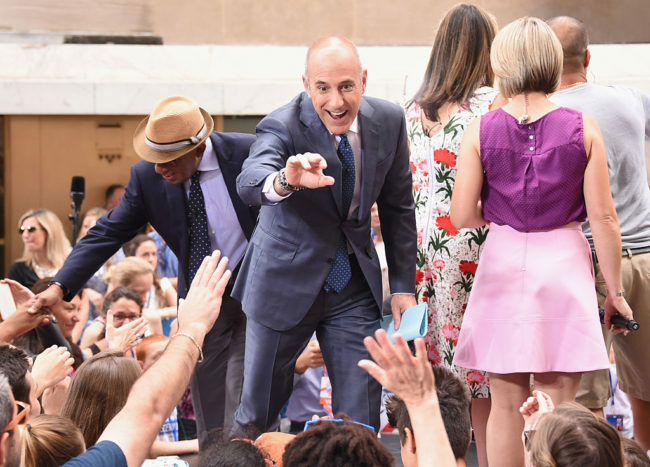 NBC has fired Matt Lauer, the lead host on “The Today Show,” after an employee filed a complaint about inappropriate sexual behavior in the workplace. “Today” cohost Savannah Guthrie announced the news at the top of the program Wednesday morning, her voice breaking. Guthrie said she is “heartbroken” for Lauer, a “dear, dear friend,” but said she was “heartbroken” for the colleague that came forward to share her story. “How do you reconcile your love for someone with the revelation that they have behaved badly?” Guthrie asked.